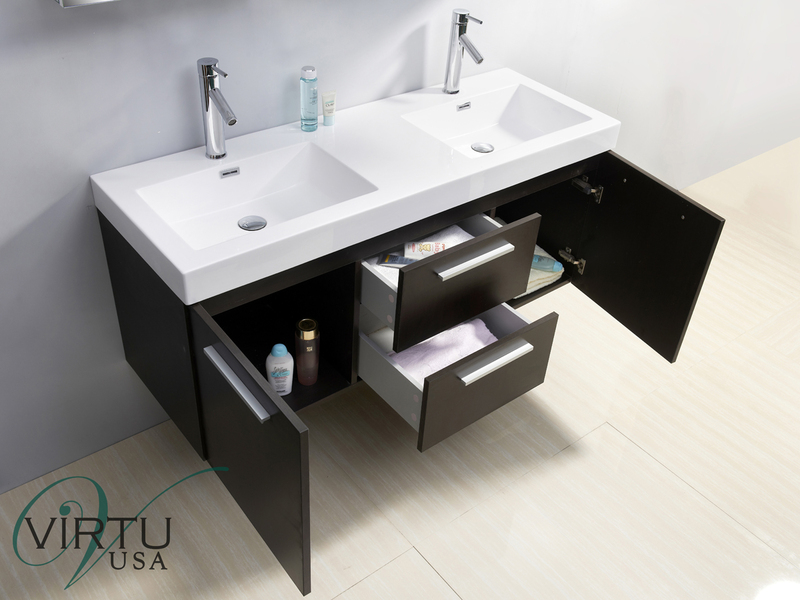 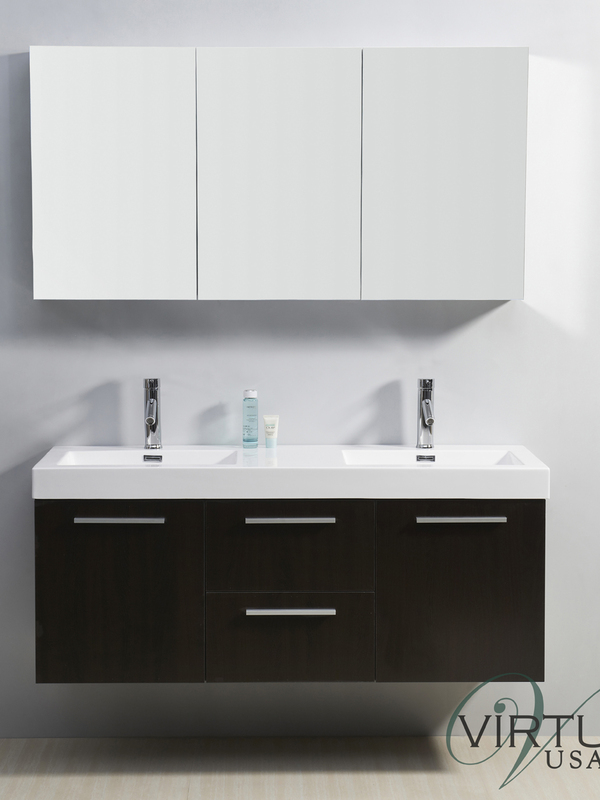 Dark Wenge in finish, the 54" Midori Double Sink Vanity exudes a look of sophistication and style. 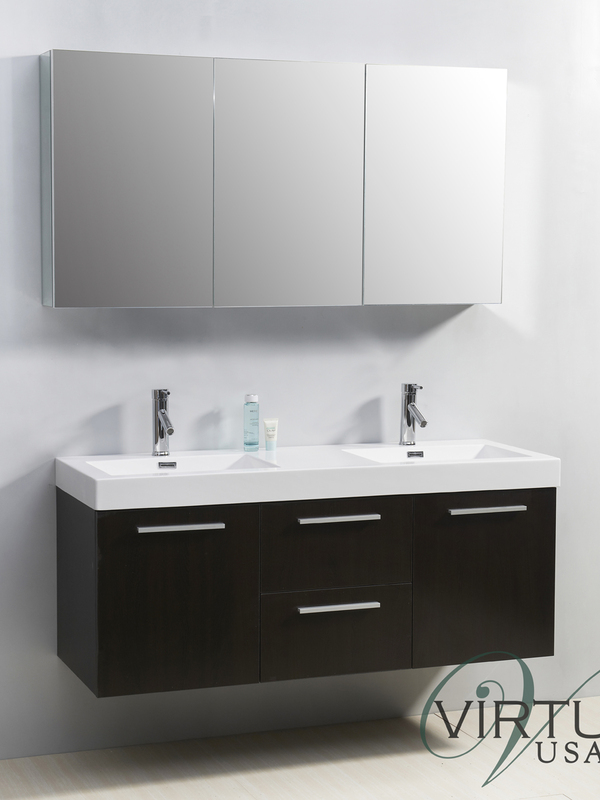 Its beautiful cabinet is constructed from plywood and composite with a melamine finish that gives it a glossy effect. 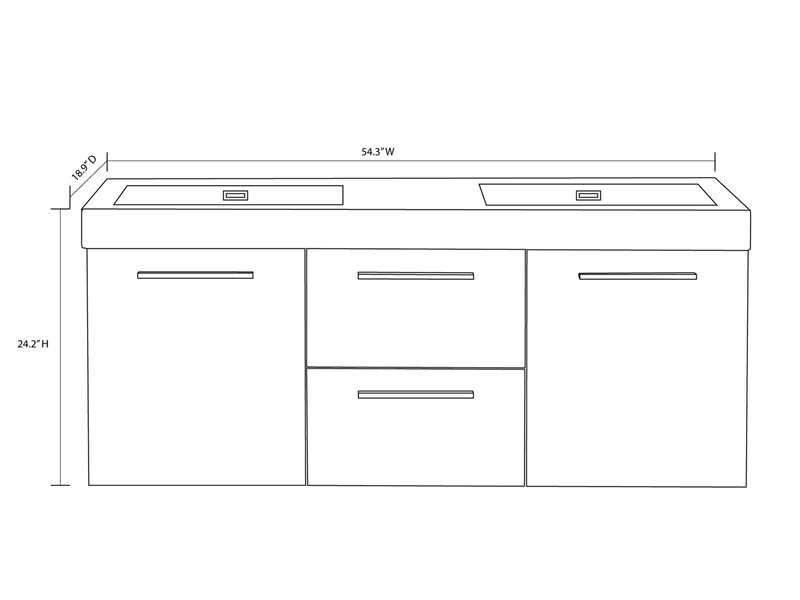 Two single-door cabinets and functional drawers give you tons of storage space, all of which are adorned with a shiny Satin Nickel handle and BLUM soft-closing hardware to ensure the elimination of the sound of slamming drawers. 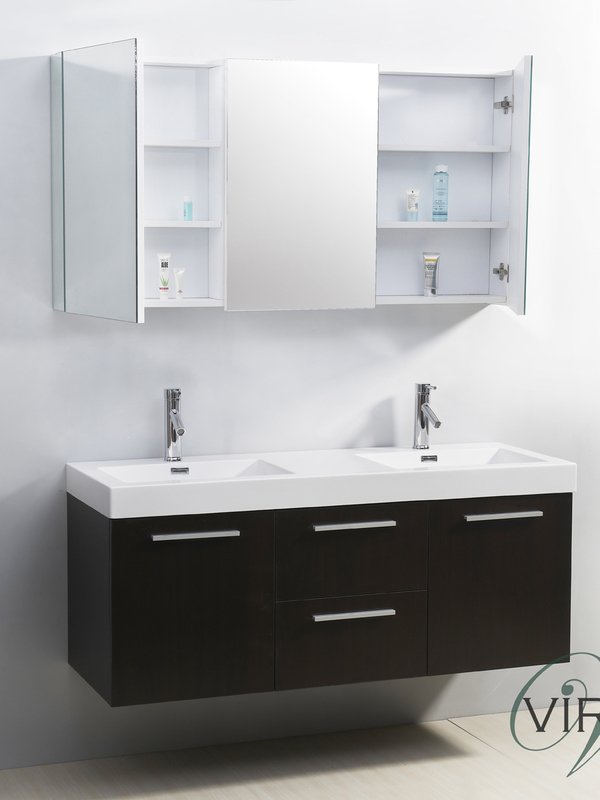 You'll love its contrasting polymarble integrated sink top that offers a maintenance-free sink that also comes with two Chrome faucets.